The name Kfar Aza means Gaza Village. 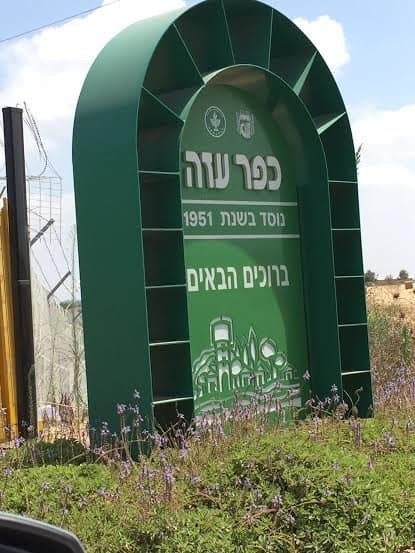 It is an Israeli community, a combination of 220 members’ kibbutz type community, and a residential community of 600 men, women and children members, proud of 2 large industries, large factory that is producing raw materials for the plastics industry and Sincopa, event sound equipment. 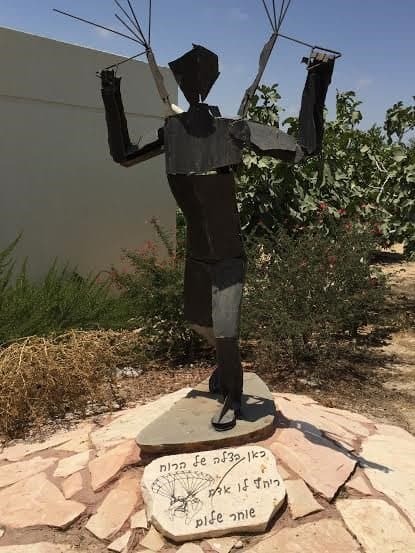 Kfar Aza was established in 1951 and is nestled on Israel’s border with Gaza. 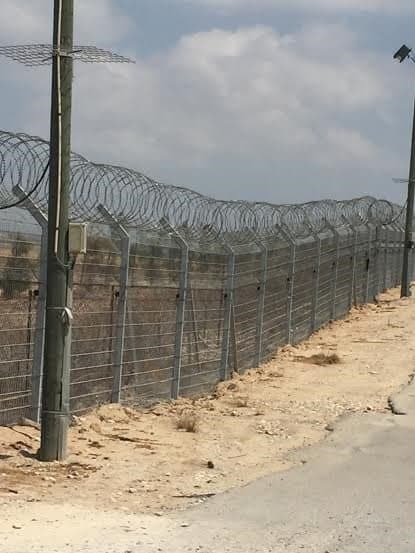 Walking along the border fence, you can see Gaza with the naked eye, in fact you can see destroyed buildings in the Gazan neighborhood Shuja’iyya where, in 2014, during the Protective Edge War, the Israel Air Force bombed and destroyed many buildings. Kfar Aza has known wars since the birth of Israel. 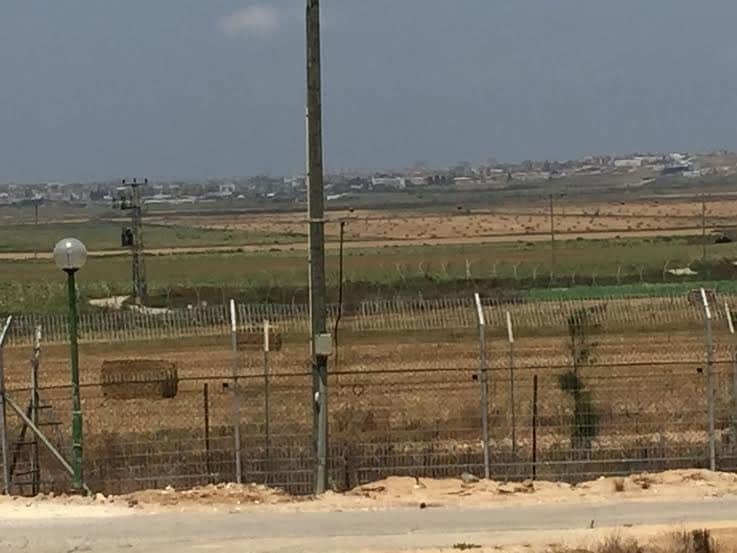 Nowadays, being so close to the border the Gazan terrorists often shell mortars into the kibbutz and there were fatalities as a result. Israel communities in a farther range of Gaza are attacked by rockets and missiles when the terror enclave Gaza decides that it is time for a war with Israel. 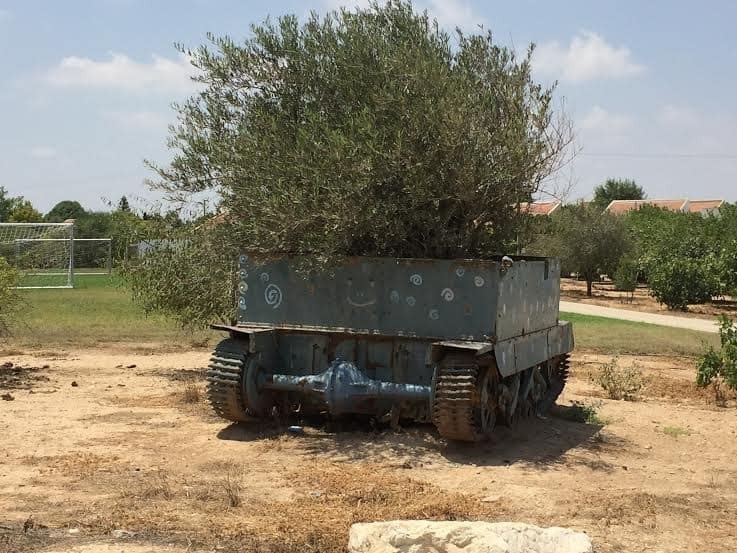 Remnants of 1948 Egyptian armored vehicle left from a battle of that time. The atmosphere is pastoral; lawns, green trees and flowers everywhere. It is not the atmosphere one expects in a place located so very close to constant hostility from a war-mongering neighbor. It is normal life atmosphere. 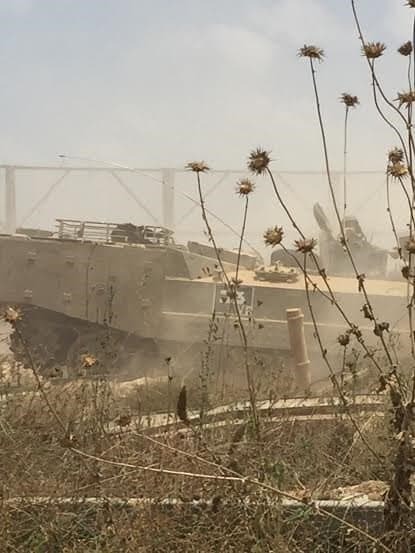 But the Israeli tanks dashing nearby were the reality check reminder of where I was standing and what I was seeing. Beyond the border fence I saw the Kfar Aza farmers working their fields that are literally touching Gaza. 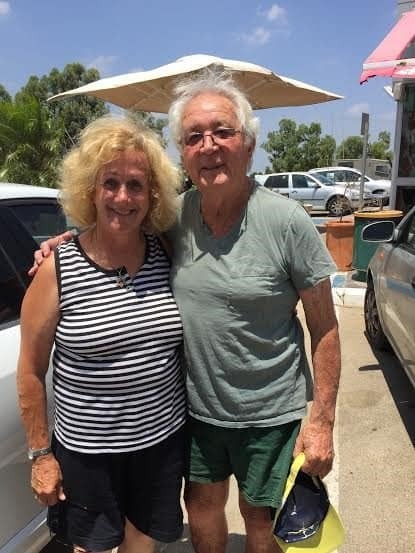 My host, Amos, 86, who is the most senior member of the kibbutz, was born in Kibbutz Ayelet Hashachar, located in Upper Galilee, to a mother who arrived in the land from Ukraine and a father from Poland before the birth of the state of Israel. Amos told me that before the Oslo Agreements, which I personally think was a devastating idea and decision to which Israel gave birth to and is still acting upon, Gazans worked for Kfar Aza. And today, there is still some communication going on between people who have known each other for many years. Kfar Aza is one of many Israeli communities forming the front line of Israel. 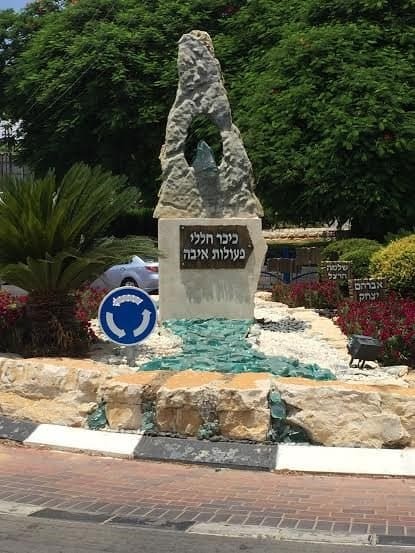 Sderot, the southern town that is much in the news for its suffering from Gaza rocket fire is not as close to the border as this community is. If you want to have peace, you need to take the politicians out of the equation, show the strength of no if and but and you start a revolutionary education to end the incitement, brainwashing and the propaganda that Hamas, the Palestinian Authority and others like them use on their people. All else will forever fail and there will never be peace. Only people to people will slowly bring about true peace.